Sun Screen Shades are an excellent way to add comfort to your home while providing privacy and saving money. 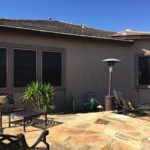 Solar Screens are reasonably priced, and often times sunscreens pay for themselves within a few years by reducing the cost of utility bills. Anyone who lives in the Phoenix, Arizona area should have Solar Sun Screens installed professionally. Exterior Solar Sun Shades are installed for many different reasons and applications. Sun Screens are typically attached to the exterior of your windows which prevents the solar rays from hitting the glass and penetrating the interior in the form of heat. 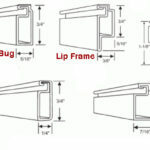 Sun Screens are always custom made to fit each window individually allowing the most precise fitment. Sunscreens are made for all window shapes and sizes. Solar Sun Screen Frames are heavy duty and in the case where the there are Over-sized Window Shades, decorative and supportive spreader bars are used to ensure strength and durability over time.